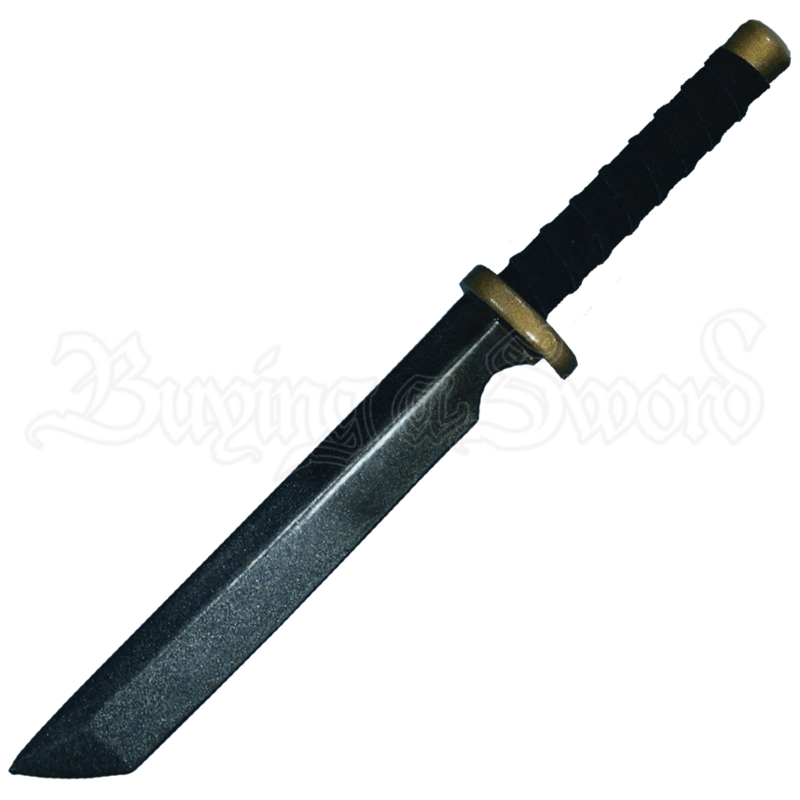 Our LARP Tanto is side kick for any of our LARP Katanas or other oriental weapons. This latex tanto features a classic straight edged blade. This is a great quality LARP weapon, made from durable foam with a strong coat of latex. 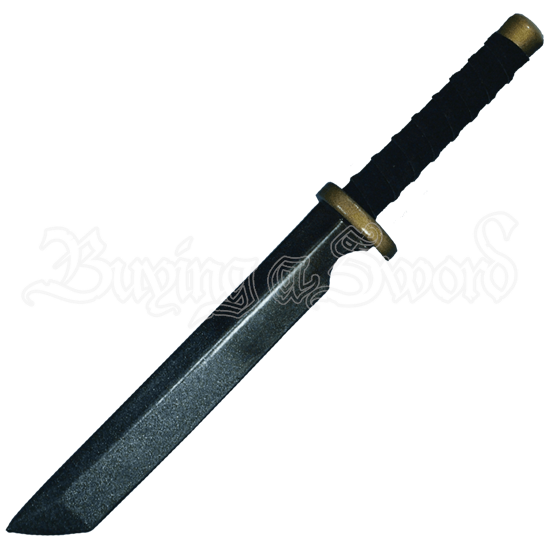 An affordable LARP dagger without sacrificing quality and style. The hilt and pommel will come in Gold, Silver, or Bronze. Handle wrapping colors may vary between brown or black. Unfortunately we are unable to pick specific color combinations for orders. The dagger is approximately 16 Inches in overall length. This measurement will vary slightly as it is a handmade item. Latex weapons do need to be maintained to a certain degree. We offer a Maintenance Silicone that can be purchased separately in the LARP Accessories section. We recommend you use the Silicone on a regular basis. It has an easy, spray on application. The silicone will keep the coating flexible and make the weapons last much longer. The maintenance silicone protects the coating from drying out and helps the weapon resist wear and tear.